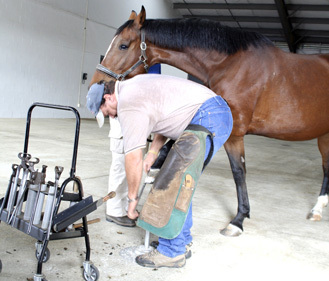 Our skilled veterinarians work closely with Journeyman Farriers to utilize advanced diagnostics, including Computerized Hoof Balancing, to provide optimum in foot care from corrective shoeing to medical treatment and management of special conditions. Our farriers are continually striving to learn new techniques and treatments, while relying on their abilities to design custom shoes and pads that have been successful in the past. 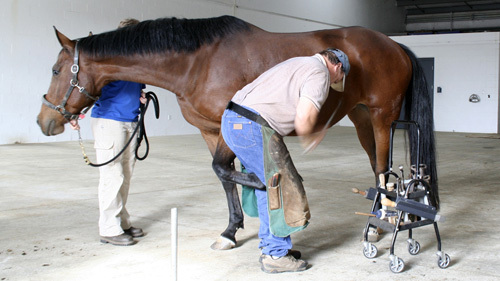 Our indoor farrier area is located near radiology to allow efficient information exchange between farrier and veterinarian. 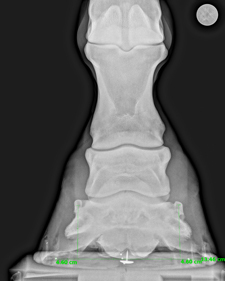 Our Computerized Hoof Balancing has helped many performance horses get back in the game, some had been lame for as long as 2 years. 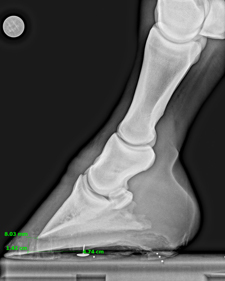 We also see many developmental problems in young horses and have had great success with establishing preventative hoof-health programs.